On January 23, 2019 at the age of 93. Cherished wife of the late Roy (1998). 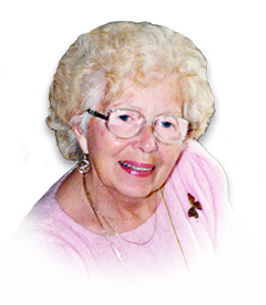 Devoted mother of Marlene Shepley, the late Chuck (survived by Janis nee Westlake), Charlene and David Janisse, Brian and Kathleen Shepley (nee Boudry). Cherished grandmother of Lynda, Jennifer and Kenneth, Susan Eddy (Mark), Rob (Theresa), Krista, Lauren, Brian Jeffery, Jim (Brooke), Sherry Gibson (Richard), Michelle. Adoring great-grandma of eleven. Dear daughter of the late Hamilton and Annie McKee. Cremation has taken place. Friends are invited to join the family at Paulin Memorial Church 3200 Woodland Dr. at Norfolk Saturday January 26, 2019 after 10:00 a.m. followed by a Funeral Service at 11:00 a.m. If you so desire, donations to the Windsor & Essex County Cancer Centre Foundation would be appreciated by the family. Additional Information	Memorial Visitation until time of Funeral Service at 11:00 a.m.
After the Service, there will be a procession to Heavenly Rest Cemetery for interment.